Don't know what to pack for a trip? The best advice: Keep it simple, and keep it light! Remember, you'll be the one lugging this stuff through airports and stuffing it into a rental car trunk. If you don't want to haul it, don't take it! The more you pack, the more it will cost you in terms of money and aching muscles. Airlines allow 2 checked bags, and are charging $25 to $50 for EACH! And if you try to jam everything into one bag, it will cost you an extra $25 for the extra weight. (I'd definitely recommend a good luggage scale to avoid those charges). Knowing what to pack - and what to leave at home - is essential for travel today. No, you do NOT need 5 pair of shoes and 2 outfits for each day! The key to what to pack is to bring versatile items in neutral or mix-and-match colors. - The first, and most important, thing to do is MAKE A LIST (you can use ours as a starting point.) Without a list, you'll be tempted to pack everything you own, "just in case". Don't think in terms of what you might need on the trip - pare it down to what you absolutely need, and be prepared to pick things up as needed along the way. You'll probably find that you didn't need as much as you thought! - Women's travel clothes need to be versatile, wrinkle-resistant, and comfortable. Unless you absolutely must attend a dress-up event, keep it casual but good-looking. - Choose 2 or 3 basic colors that mix and match, and take separates that can be put together in several combinations. Black, khaki, red, navy and white all work well together (choose, at most, 3 of these colors). Or choose whatever color you wear a lot of, but make sure the colors work together - NEVER bring an item that you will wear only once because it doesn't work with the other items in your suitcase. - Bring items you can hand-wash and hang to dry overnight, so you can wear them again. Lightweight cotton blends, especially blends with nylon, work well. Silk or silk blends can also be hand-washed. Silk knits are very lightweight and cool, but also layer well for warmth if needed. Bring a small bottle of mild detergent for washing. - Dark colors and small prints hide wrinkles better than light-colored solids. 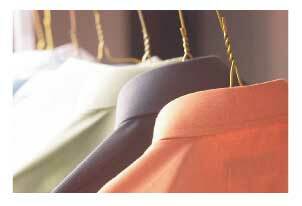 Choose cottons blended with poly or nylon for light weight and wrinkle resistance. Knits are especially good for travel. - If you don't know what to pack for a "dressy" occasion, bring something simple, in black. Avoid taking a dress if you can, and wear a nice top and pants, in black, with some simple jewelry or a scarf. - If you are staying in a condo, there may be a washer and dryer available. You can pack half of what you would ordinarily, and do a small load of laundry after a few days. You can wash your clothes again before going home, so you can just put your clothes away when you unpack. Beware of laundry service at a hotel, however - it can be unbelievably expensive! - Check the weather and the customs at your destination so you'll know what to pack to keep dry and comfortable. Bring a travel umbrella if rain is in the forecast (and leave it at home if it isn't!). Make sure you have something appropriate if you have an audience with the Pope, or are going to a very conservative country. (For example, you can't wear sandals when you visit the palace in Bangkok). - Avoid taking dress shoes if possible. If you wear nice pants for dinner, you can wear comfortable flats , too. Unless you have a very dressy event planned, keep dinner clothing simple. - Pack more tops than bottoms. You'll be able to wear pants or skirts more than once (don't bring them if you can't! ), but tops are usually worn only once before washing. Make sure you have at least 2 tops for each bottom, AND make sure each top will work with more than one bottom (for example, bring a grey top and red top for the black pants; the red top can also be worn with khaki pants, and the grey top can be worn with a navy skirt for more versatility). - Consider bringing a skirt instead of shorts, especially if traveling to a foreign country. A skirt is as cool and comfortable as shorts, but dressier. While shorts are accepted almost everywhere in the U.S., they may not be appropriate in other countries (or they simply mark you as a tourist). - Comfortable walking shoes for women are very important, especially for shopping and sightseeing. But big, white running/walking shoes are distinctively American, so if you are traveling abroad and don't want to look like a tourist, look for something a bit less athletic. There are a variety of comfortable walking shoes available - they may not pass muster with European fashionistas, but at least they don't scream "tourist!". Looking like a tourist isn't just a fashion faux-pas, it can make you a target for pickpockets. - What you wear on the plane should also work at some point on the trip. Dress in layers and wear comfortable shoes - this will also apply during your trip. Don't wear a heavy coat if you are going to a warm destination, even if it's winter at home. Wear a lightweight, water-resistant jacket with a sweater or sweatshirt underneath, and a long-sleeve top. This should get you from the car to the airport without freezing, and once you remove the outer layers, you won't be too hot getting to your hotel. - A pashmina is a versatile piece to bring. It can be used to dress up a basic outfit, or provide a bit of warmth on a cool evening. It can even be used as a blanket on the plane, so this is a good item for your carry-on. - Pack a change of underwear and top in your carry-on in the event your checked bags are lost. You really don't need more than this (unless you can fit all of your clothing and toiletries in your carry-on - this is the ultimate in packing light!). In the worst case, you can buy what you need at your destination. - Don't bring a hair dryer or iron if you don't need to. Check the hotel website for "amenities" to see if they provide them. Even modest hotels have these basics. (I've only run across a broken hair dryer once, and the front desk provided a replacement). - You might want to bring a couple of simple pieces of costume jewelry, but do NOT bring anything expensive, or that will attract thieves. This is not the time to show off your best pieces. One pair of basic earrings and a chain necklace will get you through any day. - Bring travel-sized toiletries, and bring items that do double-duty. Don't bring several lotions and fragrances - one good quality, scented lotion will do. Use a combination shampoo/conditioner. Or just use what the hotel provides - the better hotels provide good quality products. Better yet - buy the product you need when you arrive. Finding local stores and products can be part of the adventure, and is it really the end of the world if the shampoo doesn't make your hair behave the way it does at home? - If you fill your own small bottles of shampoo, etc., do NOT fill to the top of the container. Liquids expand on the plane and may spill in your suitcase. Put all liquids in a zip-top bag to be on the safe side. - Remember that liquids are restricted in your carry-on. Only bring what you need for the first day or two, in case your checked luggage gets lost. Again, the hotel will provide toiletries, or you can buy them, so think about if you really even need them in your carry-on. - Bring a first-aid kit and travel-sized containers of over-the-counter drugs for common ailments. Think double-duty here, too. In addition to bandaids for cuts and blisters, use alcohol-based hand sanitizer to clean cuts as well as cleaning hands when water isn't available. Pain reliever and cold medications (day and night formulas)are necessities, and antihistamine allergy pills can double as a safe sleep aid (antihistamines cause drowsiness, and many people have trouble sleeping when traveling). Bring Pepto-Bismol tablets for a variety of stomach ailments (the tablets are more portable than a bottle of liquid). - Wear a concealed money belt to hold your valuables. You'll probably be carrying all your money, a credit card, and every important document you own, so protect it from pickpockets by wearing it close to your body, preferably under your clothing. Carry a bag shoulder bag with straps short enough to hold the bag under your arm. A zip top is also a good idea, as long as you keep it closed. Avoid the "fanny pack" - it targets you as a tourist and is easy to get into (if worn in the back), and to grab no matter how it's worn. When you know what to pack and keep these tips in mind as you put your wardrobe together, and you should be able to get a week's worth of clothing and toiletries in one 40 lb. bag. Now you just have to be careful how much you buy and pack on the return trip! !